This topic on Indispire this week grabbed my attention immediately. 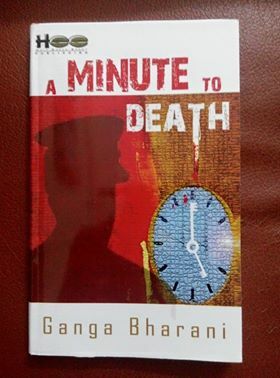 There are many good books which fail to get the attention of the mainstream audience, drowned in the downpour of other cleverly marketed books. I have abandoned many such cleverly marketed books half way through as most of them fail to fulfill the promises that they make during the intense campaigns. Paid reviews and paid campaigns, haven’t we seen enough? But whatever happens, a good book survives. So when this topic came up, the first book that I thought about was such a masterpiece that I had read recently. 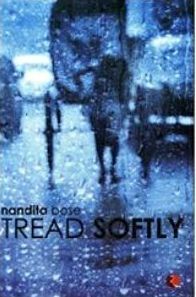 ‘Tread Softly’ by Nandita Bose. It is her debut book and a friend of mine recommended the book to me as a very fine read. I had not seen it being promoted heavily anywhere and though the genre is one that I greatly like, I had not read it. So let me explain why it is a masterpiece. Paroma had always known that she would have to submit to her family's choice of a suitable groom so it didn't really matter which brother she ended up marrying. A replacement to his step-brother, Abhinn was a curt stranger on whom was thrust the onerous duty of marrying an unknown girl. Paroma soon found their lives irreconcilable and even social pressure was not enough to compel her to stay. But she returned to Kolkata and began a search for an alternative foothold which she found in a fledgling bookstore. 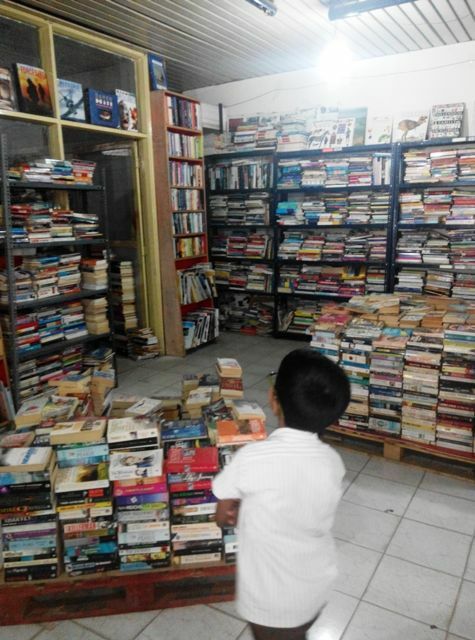 As her bookstore grew, so did her husband's romance with a woman called Geetika. These were, in Paroma's eyes, facts. But beyond bare facts lay lives touched by the magic of proximities and their infinite contradictions. Thus begins the book that takes you into the world of the main protagonist of the novel, Paroma. Paroma represents the majority of Indian girls who often face the dilemmas of arranged marriages, strange husbands and a life far away from their comfort zones. Paroma’s situation is worse than a usual arranged marriage. She has been jilted at the last moment by her groom and his step brother Abhinn is asked to take his place. An accidental marriage that doesn’t offer her any options. 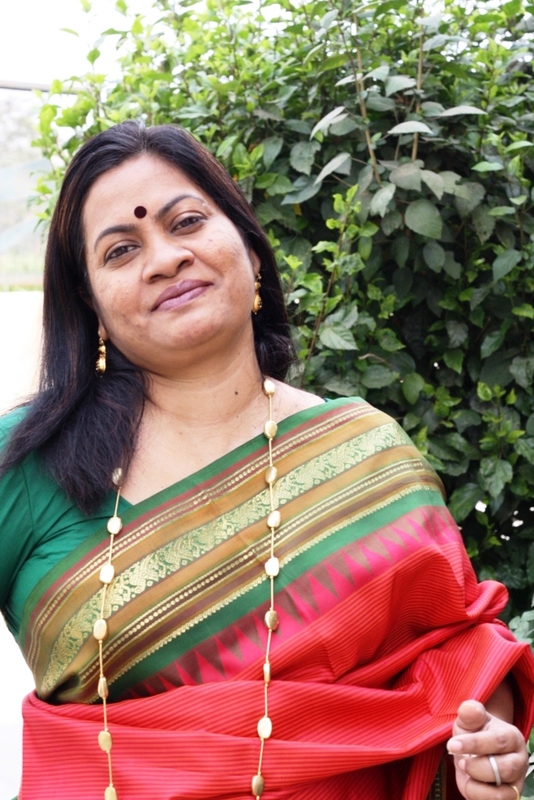 Her thoughts mirror the situation of many would be brides in India where discussions about her life might happen in front of her, but the decisions which would affect her most are often made without asking her opinion. Girls in small towns are often not allowed to speak their mind their whole life. They are taught to adjust and behave. Paroma is married off to Abhinn who appears aloof most of the time. A strange house overflowing with books, an arrogant spinster aunt, a reckless house maid and many cats form her new universe. She tries to adjust to her new life but the aunt doesn’t miss any chance to remind her that she was never Abhinn’s first choice. Geetika, a girl who often comes home, has a good rapport with all the member of the house and appears to be the ‘other woman’ in Abhinn’s life. Paroma decides to tolerate her presence as she had inadvertently fallen in love with Abhinn. Her yearning to be loved, her random thoughts, her inner dilemmas and yet her insightful actions makes the book a delightful read. The confusions, the lack of communications play havoc with their relationship and it soon becomes strained and reaches a point of break up. Will they be able to rescue their marriage or would circumstances tear them apart? This forms the crux of the story. The book is filled with beautiful descriptions about the Bengali way of life, human relationships, their food and also love for books. The slow blooming of romance between the Abhinn and Paroma, their interactions, realistic scenes and the first person narration makes you empathize with Paroma. The novel emphasizes the importance of communication between husbands and wives and how often unspoken words are the ones that need to be spoken the most. Among the Indian books that I read recently, this book stands out as a masterpiece due to its fresh concept, Indian-ness, narration and language. The characters come to life through the pages and you either love them or hate them exactly the way the author wants you to. After completing the book the first thing I did was to check out her other books. I have already ordered her two other novels. Do pick up the book if you love to read stories that are written in a poetic language that touches the innermost chords of your heart string. There isn’t anyone I guess, alive on earth who doesn’t like honey. Kids drool at the sight of it, young men swear by the effectiveness of it to reduce weight, girls use it in their beauty packs and grandmothers advise the new generation to quit swallowing antibiotics and rely on honey to cure their cough and cold. So honey plays an important role in today’s word in Weight management, it acts as a sugar substitute, it is a source of energy, it aids digestion, fights minor ailments like cough and cold. It even rejuvenates beauty. Honey is an essential item in my household. Ever heard about honey diet? Honey diet advises us to replace of sugar with honey. Be it in your tea, your coffee or in your cereal, use Honey. Drinking warm water mixed with honey and lime juice first thing in the morning has been a prescribed weight loss idea since ages. So why is honey better than sugar? Honey, a plant based sugar helps burn fat faster than its sibling sugar. Sugar increases your calories and decreases your stamina whereas it is a proven fact that honey is healthy replacement for all kinds of sugars. That honey is a regurgitated product from the honey stomach of bees makes it even more magical. It is easy to digest . We can use it for baking and the end product is tastier than when we use sugar. In this era, when people are struggling to lose weight, fight diabetes and heart disease which are all mainly the byproducts of over consumption of sugar, dieting using honey will be a boon to all of us. The benefits of honey need to be studied and incorporated into our lives and then we can find the benefits of it changing our lives. A healthy life style goes a long way in bringing happiness into our lives, as health is a very important facet of our living. We need to dig deep into the treasure house of knowledge that our ancient scriptures offer. The key to longevity is hiding somewhere in the lost books from our past. It is very important that we return to nature to try and research a cure to the various ailments that human beings suffer from these days. Instead of treating diseases with antibiotics, we should prefer to use natural methods to bring heal our ailments. The ancients Egyptians used honey in cakes and biscuits and also as an aphrodisiac. They also used honey for embalming. In Hinduism, honey is one of the five elixirs, the Panchamrita which is part of every big Puja that happens in a temple or home. But alas, even honey comes duplicate and adulterated these days. It is time for us to find unadulterated honey, so that we too can tread towards a better life and better health. Find my trusted brand of honey at http://www.daburhoney.com/and check out their Honey Diet. There is no place that is worth living than India, if you are a cricket fan. You are forgiven for your craziness and even applauded for the extent you goes to watch your favorite game uninterrupted. A world cup match between your favorite team means that you will report sick to office, miss the release of your favorite movie or even refuse a date with that one person you wanted to go out, all life. Don’t worry; you will be forgiven without any grudge by anyone who is an Indian. Because almost all share your craziness for the most loved game in the Indian subcontinent — Cricket! I was myself an ardent fan of cricket until writing and parenting responsibilities took away my precious cricket watching hours. I could not remain glued to the television anymore. But recently I discovered UC Browser and it is the coolest browser ever. The UC Cricket option, which is a heaven to every cricket fan, is just awesome. It has live scores with auto update, fixtures and results, and also latest news and videos from the cricketing world. What else could I ask for? So now, wherever I am and whatever I am doing, I can keep an eye on what is happening in the world of cricket. I am not worried anymore. I can surf it all and also surf it fast with UC Browser. So no more regrets that I missed a game I wanted to watch so much. I am in awe of this browser because it helps us to not miss out on the little things that bring us happiness. I can know what exactly is happening in a match at the touch of my fingers on the UC Cricket icon. The life of a cricket fan becomes easier if he/she is allowed to enjoy the best moments of the game without having to sacrifice other equally important pleasures in life. There usually arrives a time in the life of an individual where he/she is forced to prioritize things. This in itself is a big challenge to people who hates confronting their worst nightmares. And for a cricket fan, the worst nightmare is missing his favorite game while having to attend a boring meeting from which there seems no escape. Like a genie in a bottle, UC Cricket with its tiny blue icon, leads you into a world that was eluding capture, caught in worldly responsibilities. This particular icon becomes your apple of your eye. I can put options that will make me remember the timings of a particular match that is happening. I can also get quick information about the latest updates of my choice. The cricket fan in me is becoming happy again. I can check the updates while making my kid do his home work or even while cooking dinner. Check out http://www.ucweb.com and go to UC Cricket. This post is about my best buddy. He is the apple of my eye and makes me want to live better, live happier. He is my son, the best part of my soul. We met on a warm November afternoon and it was love at first sight for me. When tiny, soft fingers clutched mine for the first time, a promise was made, one often repeated over centuries by mothers wherever they are, whichever race they belong to. During that one moment, I promised him anything and everything that I was capable of giving him. I couldn’t bear being separated from him for even an hour and when he started playschool the initial days were extremely torturous for me. I would imagine the most dangers that might befall my child at that strange place and would pray fervently to God to keep him safe and happy. His happy smiling face and the love from his teachers made me realize that he was slowly reaching out to more people and was happily becoming part of a bigger world which was different from the cozy family cocoon that he was used to. Once he started school, he began to be my friend. He would confront anyone who dared to question me. If I said the earth is flat, he would repeat it to one and all and hell on those who dared to oppose. We became pals and we discovered cartoons and games together. He would employ my help to conquer the tricky levels in angry birds or Mario and I would earn my payment through hugs and kisses. He would come home excited about the new secret that he had learned in school. 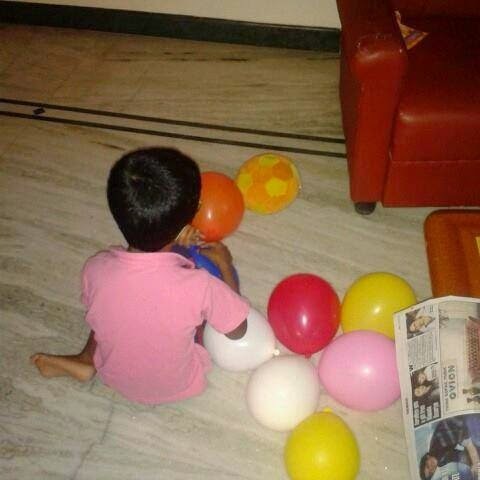 “Mother, the secret to formation of clouds is wind,” he announced one day. “Mother, dreams make our tomorrows. So don’t wake me up when I am dreaming. Okay?” Sigh! Then the tantrums during bath time and dinner. And re-reads of the same bed time stories! On weekday mornings, he remind me of the little girl I once was, who loved to snuggle deeper into the blanket and refused to get ready for school. “Mother, I don’t like going to school. I don’t like my teachers. I love you,” says he and hugs me. Tears shine in his eyes, heralding a barrage of emotional blackmail. My husband tells me it is ‘Karma’ in action and I struggle to keep my mouth shut. After the hectic weekdays, we bond over food, games and cartoons during the two blissful days break. When the week begins again, the same old mad mornings return; along with a grumpy six year-old who hates mornings. I take care that his lunch boxes contain his favorite food and also treats him to good food once he return from home. When after a hectic day, he sleeps soundly with a slight smile on his face; I offer my prayers to my God, for the best gift he has ever given me. I am very happy that Facebook and Whatsapp are connecting millions and bringing smiles on the face of many. We are able to share our little moments of joy and proclaim to the world that we are the happiest creatures around. Pages by magazines, institutions and individuals bring us tons of information that makes us aware of the world around us. I confess, I am addicted to Facebook and am a reluctant member of Whatsapp as well. Whatsapp doesn’t have any such options at all! So what can we writers do? Please Sir, we spend time and energy to create our articles and then someone copy it blatantly and share it without our consent. Is it fair? People are copying our articles from our blogs or web magazines and passing it off as theirs, to attain their two-minutes of fame on Facebook or Whatsapp. A recent article of mine was copied by many from the womensweb page where I had shared it and it went viral on Whatsapp. From there, it was copied onto Facebook where it again went viral. Nowhere was I mentioned as the writer of the post. Can’t Facebook, the most powerful media tool in the world, create an option to report plagiarism? I guess writers around the world would be thankful to you if you put such an option in your ‘report this post’ section in any post. If there is such an option, we can share the original link to the post and then Facebook can take down the post, if proven right. Can we expect something similar on Whatsapp as well? I request all my writer friends around the world to share this post because I know all of you would want such an option to exist on this popular and powerful media tool. Please writers and friends, I request you to share this post so that we can use Facebook without any worry.